Amazon Black Friday 2018: How do the Deals Work? Christmas is approaching and with it also the fever for shopping and gifts. But as we well know, the best opportunities are not just a few days after the event, but almost a month earlier. We’re talking about the famous Black Friday which, it’s not a bad day at all! This is a special day of sales, on which most of the world’s big business giants are working to offer unique and interesting offers to encourage people to shop, even before Christmas. 1.1 But When Is It? 2 How do the Deals Work? 3.2 Are the discounts real? 3.3 How long do discounts last? 3.5 And if I don’t like it? 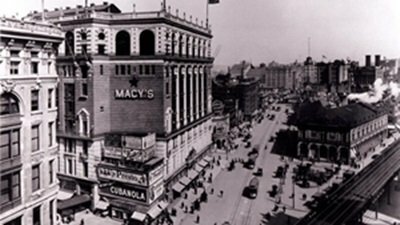 Black Friday was born in the USA in the 1920s thanks to the idea of the Macy’s chain of shops that made great discounts to start Christmas purchases and to quickly return the company accounts to profit. But it was in the 1980s that the phenomenon took off more and more, spreading to other states, both American and European. In Italy, some chains of technology and hypermarkets are following the example of Macy’s. However, here in Italy, the phenomenon has taken root mainly as a day of discounts for online purchases, thanks to the giant Amazon that has imposed itself with this event of digital sales with substantial discounts and real discounts on thousands of items. But only for 1 day! The date to be marked is the last Friday in November, which follows the Thanksgiving Day, one of the most heartfelt national holidays held on the last Thursday in November. But what exactly happens on the Black Friday day? This is a day of sales that has the peculiarity of taking place at the beginning of the shopping season rather than at the end. There is a very wide choice of articles since the discounts are on Christmas arrivals and not on the “inventories” of the post-festivities. In fact, while the normal sales mainly concern clothing, the Black Friday discounts cover every category of merchandise. Did you see those News services that show dozens of people in New York queuing cold waiting for the opening of the various shops? That’s the Black Friday, which fortunately for us can be a much more comfortable day! Until a few years ago Black Friday took place only within the 24 hours of Friday, so it was particularly important to follow the offers that were offered during the day. In recent years the offers are extended to the whole weekend to end the day of Cyber Monday…. and what is that?! This other day of discount falls on the Monday following “Black Friday”. This is a day of sales invented by online shopping chains and dedicated exclusively to the offerings of electronic items such as smartphones, computers, cameras and everything else. Needless to say, even on the occasion of the “Cyber Monday” you will find excellent offers on Amazon, but for the giant of online sales, it is a sort of “replica” of Black Friday, in which objects of any kind are actually discounted. At midnight, between Thursday 23rd and Friday 24th November 2017, a lot of items on sale on Amazon go off and the whole site hosts banners and references to the special day that refer to pages with offers. Orienting is not easy as the offers are for thousands of items in each category and are mixed with normal promotions in progress, so it is not easy to understand what Black Friday offers are, by browsing the catalog normally. On this particular day, it is better to browse Amazon through the pages of Black Friday, which collect offers for discount and duration. This is a slightly different way of shopping online, similar to window shopping and observing what shopkeepers are proposing. It may happen that you find at an incredible price an item that you discarded from your shopping list because it’s always too expensive, or that you’re tempted by the discount to buy something similar to what you’re looking for. But above all, you can come up with lots of ideas for Christmas gifts! For example, here are some ideas about coffee machines black friday deals you can find on Amazon. Absolutely yes, although it must be said that, often, it is an additional discount at a price that is already on offer. For example, articles normally offered with discounts from 15 to 20% can be put at 40%. It is, therefore, a 20% more discount than the price you would find on the other days, but it could also be 30 or more. What is certain is that Amazon earns less from these promotional sales, even many items sell below cost in order to create attention and sales volumes. Why not take advantage of it, therefore! How long do discounts last? In general, in every special promotion article, there is written as long as the promo lasts. Many featured articles for Black Friday will still remain on offer all the time until the end of Cyber Monday. Some of the offers put online by Amazon will be called Time Limited Offers (“Zippered” offers) as they will only appear for a limited time, as well as those that will only be available for 24 hours. Rather, be careful that the item in discount is not sold out! In fact, consider that articles with large discounts are placed in great prominence on the site and therefore you will certainly not be alone to keep an eye on them. It is, therefore, better to get them right away. 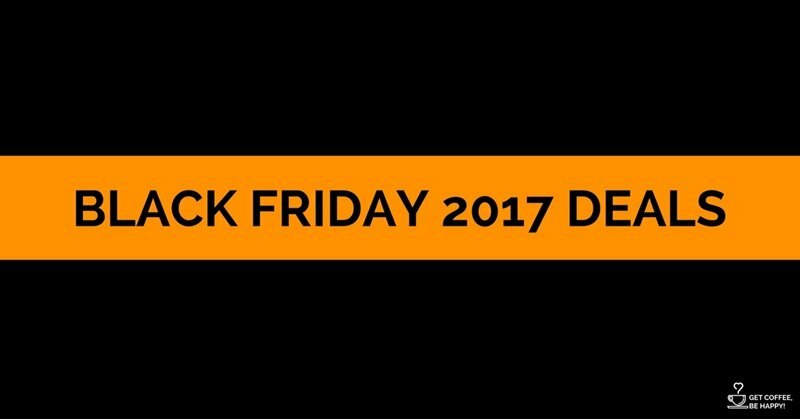 One important thing is that an item will not increase your discount during Black Friday, so don’t hesitate to buy it as soon as possible. The purchase of the item on offer will be shipped by Amazon at the indicated times, but considering that they are items shipped directly from Amazon, generally, delivery is fast and will take place on Monday or Tuesday. Needless to say, if you want to buy on Amazon it is strongly recommended to subscribe to the Amazon Prime subscription, which will allow you to receive your purchase, if available, within one day without having to pay the shipping costs. Moreover, the subscription to Amazon Prime will give you the possibility to access the “Prime Day” offers, which are often cheaper than the Black Friday offers, since you will find items at a very cheap price. And if I don’t like it? Amazon does not change its return policy even on the occasion of Black Friday promotional sales. In case of an incorrect purchase, you will have the opportunity to return the item within 30 days absolutely free of charge, without any courier charges, which will be free at home to collect the parcel. The refund is generally made in 24/48 hours.